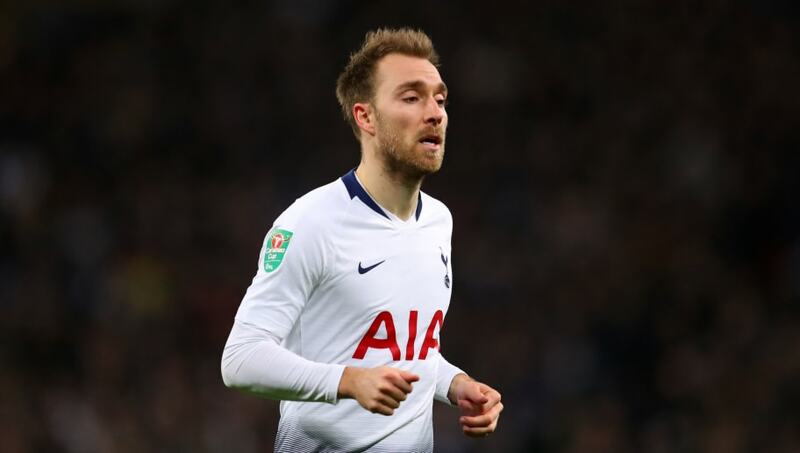 ​With growing speculation that Christian Eriksen is being lined up by Real Madrid as a prime transfer target in the summer transfer window, the playmaker's contribution to Tottenham's equaliser against Liverpool highlighted why he is so highly sought after. On Sunday, the 27-year-old was the man to lay the ball off to the onrushing Lucas Moura to slam home and level things up at Anfield. Whilst Mauricio Pochettino's side fell to a late defeat, ​Eriksen's assist means he has now joined a very elite company. As per ​Opta, the Spurs midfielder has become just the second player to assist 10 or more Premier League goals in four successive seasons, after former Manchester United star David Beckham did so between 1997 and 2001. The Dane has become a firm fan favourite at ​Spurs since his arrival from Ajax in 2013 in a £11m deal, and along with his assists, has scored 63 times in 265 appearances. Eriksen's latest set-up means he now has 58 total assists in the ​Premier League, and at just £11m, looks every bit of a bargain buy.